You really can't accuse Microsoft of phoning it in when it built the original Band. Between jamming 10 different sensors into a glorified wristband and creating a new health platform to interpret your data, the company shot for the stars... and wound up with one cumbersome wearable. Thankfully, the $250 sequel fixes nearly every gripe we had with the original design, and adds a new sensor too. 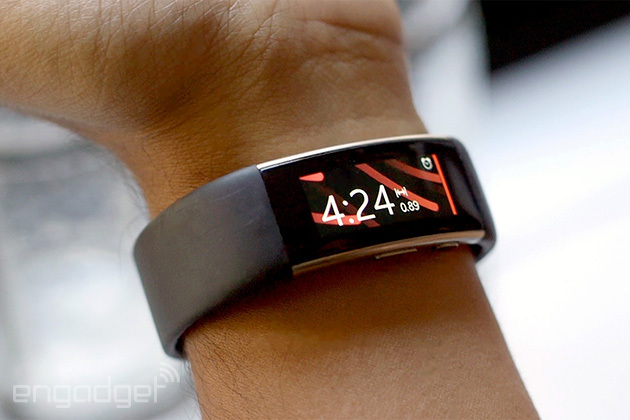 The Band 2 might not be the perfect fitness partner, but it comes much, much closer to realizing Microsoft's goal than the original did. 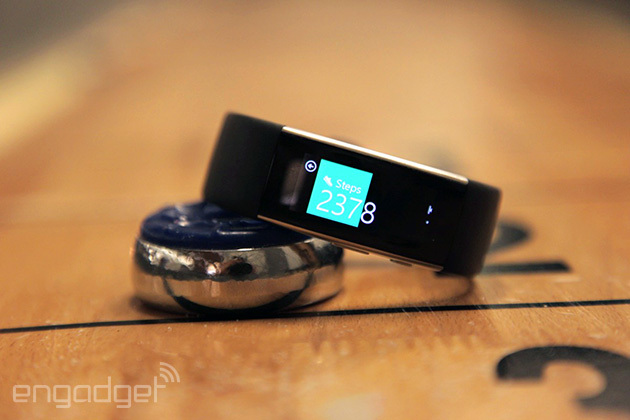 Microsoft's first fitness tracker was a clunker, but the Band 2 is more refined, with a comfortable design and a thoughtful software platform that has gotten better over time. Even so, there are still some kinks Microsoft needs to work out, and the short battery life in particular might be a dealbreaker for some. How would you rate the Band 2nd-gen? 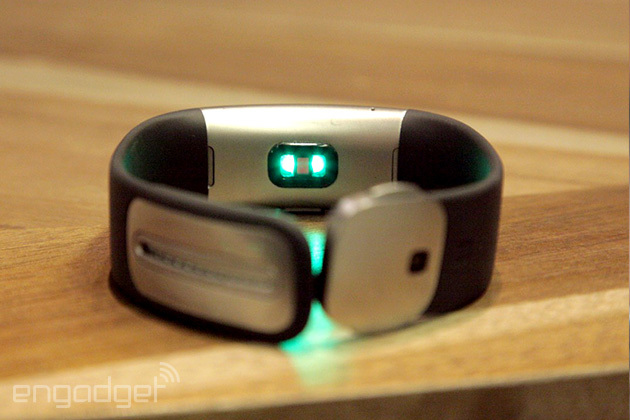 I'm probably in the minority for not hating the original Microsoft Band, but my fondness never extended to its design. Aesthetically and ergonomically, the thing was a mess. Microsoft, realizing that a wearable should be, well, wearable, went back to the drawing board and finally came up with a design that's not nearly as cumbersome. The new Band owes its relative comfort in large part to its curved AMOLED screen -- the screen follows the natural curve of your wrist more elegantly than the original's flat display ever could. The downside? 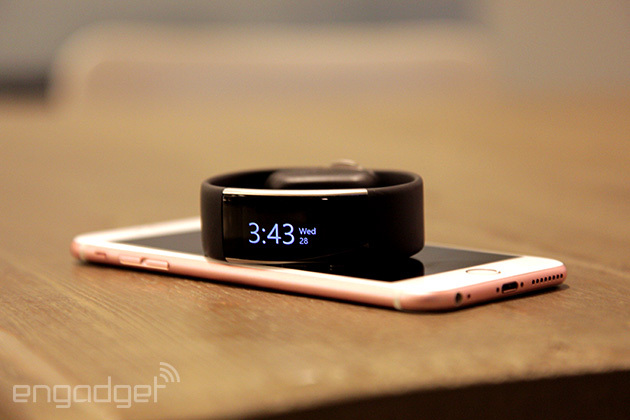 It makes the Band look a bit like an ill-fated Samsung wearable. Whatever -- it was the right decision to make. That screen is covered with a tiny sheet of Gorilla Glass 3, too, a flourish I wish they remembered last year. When I tried that first Band, Microsoft included a screen protector I quickly lost and it was maybe four hours before the first nicks started marring the screen. It didn't help that Microsoft suggested you wear the Band with the screen on the inside of your wrist, which gave me pangs of concern every time I plopped my hands on my laptop and started typing. More importantly, the hefty battery bulges that punctuated the first Band are mostly gone. See, Microsoft used to brag about all the sensors it managed to cram into such a small package, and the designers mounted two separate power cells on opposite ends of the wristband. Neat technical achievement? Perhaps, but it also made for a clunky cuff that tended to squeeze people's wrists. Microsoft's solution is more thoughtful this time -- the battery lives in a single bulge at the end of the strap so it pushes into the top (or bottom, depending on your preference) of your wrist instead of all around it. There hasn't been an appreciable dip in battery life, either, so you'll generally squeeze a good two days out of the thing before connecting it to its charging clasp (the older one won't work, alas). If you're itching to use the Band as a smartwatch, expect to get closer to a day and a half of continued use with Watch mode enabled -- at least you'll be able to glance at the date and time whenever you need to. The rest of the band is made of a comfortable dark gray elastomer -- your wrists might get a little sweaty, but at least they won't feel the pinch of bad design. Make no mistake: This year's Microsoft Band is a huge improvement over the original, even if it's still tricky to put on with one hand. Now, about those sensors. All 10 of those original data collectors -- the heart rate sensor, accelerometer, gyrometer, GPS, ambient light detector, skin temperature monitor, UV and capacitive sensors, microphone and one that measures galvanic skin response -- are back and they're joined by a barometer for measuring elevation changes. It was and remains one of the most comprehensive approaches I've seen to mobile health tracking, and it represents a very valuable sort of thinking. Just counting steps is fine and all, but traipsing around gets so many bodily systems working in unison that it would be a shame not to gather all that extra context. One might imagine Microsoft's step forward with hardware would be accompanied by some sweet new software functionality. Well, yes and no. The company has been dutifully updating the original Band with new features since launch, so there's a surprisingly small gap between what these two wearables are actually capable of. Quick Read, for instance, helpfully flashes incoming messages on the screen one word at a time (like Spritz) -- that arrived on the original Band back in February. And that impressive, shot-tracking golfing feature? Part of the first Band's repertoire as of June 2015. I have to give Microsoft props for making sure last-generation Band owners aren't getting the shaft, but it does make the Band 2 just a little less exciting... for now, anyway. The coming of Windows 10 also signaled a new era of third-party app support for the Band, with partners like Uber and Subway working on more software for our wrists. Alas, they're not quite done, so it'll be a while yet before you can order a Sweet Onion Chicken Teriyaki sandwich from your watch. (Pro health tip: Do not order a Sweet Onion Chicken Teriyaki sandwich.) Beyond those new apps, the Band hooks into a host of popular fitness services, including go-to options like MyFitnessPal, Runkeeper, Strava for bike rides and more. By offering your health data up to the services you already use, Microsoft is worming its way into your existing fitness routine (and doing a pretty good job of it). Of course, Microsoft has a health platform of its own -- imaginatively called Microsoft Health -- which keeps tabs on your daily steps taken, calories burned, hours slept and more. 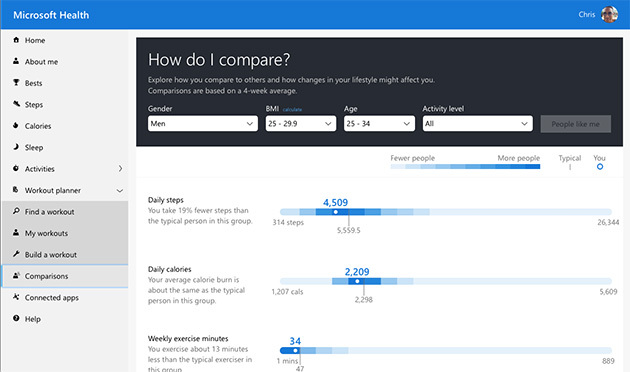 Chances are you'll mostly interact with this data on your phone, but I'd recommend poking around in Microsoft Health's web dashboard -- the lack of size limitations means you'll find more observations, comparisons and pretty graphs. But what is all of this like to use? It sort of depends -- you could just use the Band 2 as a smartwatch and be happy with the way texts, emails, calls, tweets and Facebook messages roll in. I've spent the majority of my time testing the Band with an iPhone, and it mostly does a fine job of syncing my (lousy) health data over to Microsoft's Health app. There are a few extra benefits to be had if your Band is lashed to a Windows Phone -- issuing voice commands to Cortana still works very well, and you can respond to incoming messages by pecking words out on a tiny on-screen keyboard instead of just firing off a canned response. I'd have loved to see how the Band plays with Microsoft's new Windows 10 phones, but they've sort of dropped off the radar since the company first unveiled them earlier this month. Soon, maybe! Here's the thing, though: Don't buy a Band 2 just for this. 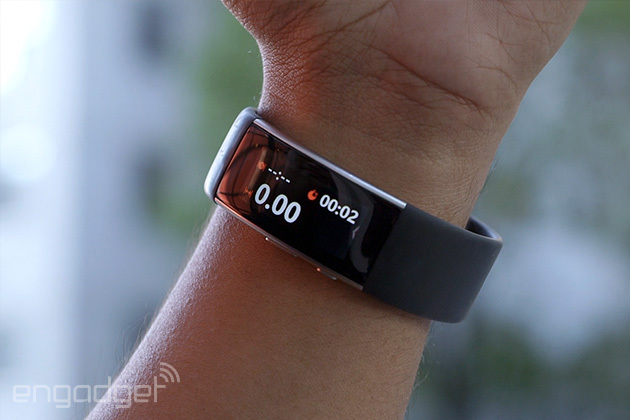 The Band 2 is a fitness gadget first and foremost, and trying to convince yourself otherwise is really silly. Unfortunately for me, this review happened to coincide with an in-office fitness challenge and keeping the Band on 24/7 has left me with a very clear understanding of how out of shape I am. I take about 20 percent fewer steps than other men of my age, height and weight. I work out less than them, too. I hardly sleep (often because I'm a weirdo workaholic). The life of a tech blogger, it seems, is one filled with sedentary peril. In an effort to prolong my own life, I've started to go for late-night runs like I did in college. While the Band 2 seems to keep pretty accurate counts of my steps and heart rate, I've been running into some frequent GPS issues. When you click into the Run mode -- a dead-simple process -- the Band looks for a GPS lock and asks if you'd like to get started while it keeps searching. Sounds like a good idea in theory, but it occasionally took up to five minutes for the built-in GPS to find me, leading to a handful of runs with screwy split times and total distances. The barometer is a neat addition to the sensor mix, and it does seem to notice when I'm clambering up soft hills, but I haven't yet taken it for a spin on New Jersey's many hiking trails. Guided workouts have been the biggest boon to my exercise routine so far, especially since my gym is tiny and rarely has helpful people around. At present you can load up routines (my current choice: "Get Ripped Abs") and go for it while the Band 2 measures reps and heart rate. Even better, you can pull up instructional videos within the Microsoft Health app just to make sure your form is on point. I now hurt everywhere, but in a good way. The Band interface's broad strokes are surprisingly elegant, although it's not always very straightforward. It's the little things, really. Let's say you want to fiddle with the screen's brightness -- just pop into the Settings tile, right? Almost! Brightness controls (along with vibration level, reading speed and more) live in a Settings window inside of that first Settings window, presumably because Microsoft didn't want us scrolling through a too-long list of options. I also spent a good 15 minutes wondering why I couldn't change my color preferences from the Band before realizing -- oops -- you can only do it from the app. I appreciate the sentiment at play here, but some of the layout logic seems a little suspect. At least you can rearrange most of those action tiles and axe the ones you don't use (farewell, Bike and Golf). The market for fitness-friendly gadgets has blown up, and there's really something for everyone now. Even once rare features like heart rate monitoring have become awfully accessible -- just about every health wearable maker offers at least one product that keeps tabs on your ticker. That the Band 2 aspires to so much puts it in a class of its own, but you might consider something like the Fitbit Surge ($250) if you're on the lookout for a wearable workout partner. It's a GPS watch/activity tracker with a more traditional design and a heart rate monitor, but it costs just as much as the Band 2 and does quite a bit less. Garmin's $250 Vivoactive is the most normal-looking wearable in the high-end fitness bunch and it's waterproof too, unlike the merely water-resistant Band 2. It's definitely one of the more versatile options out there, although it doesn't allow you to dump that exercise data into other health services. Then there's the Basis Peak ($200), which does play nice with services like Apple Health and Google Fit as of May, and comes with a battery that should last for about four days. 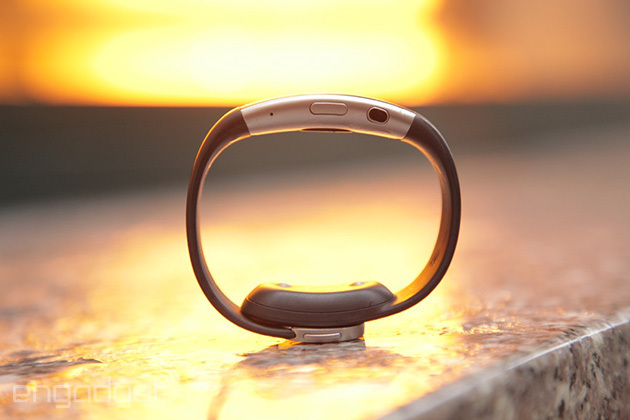 The Peak is less ambitious than the Band 2, but hey -- it's comfortable and good at counting your heartbeats. A truly good fitness gadget is one that makes you realize your shortcomings and gives you the insight to fix them. While the original Microsoft Band was an ambitious but flawed product, this sequel comes closer to fulfilling that vision. The issues in execution are seemingly fixable ones -- the Band still isn't the most comfortable thing I've ever put on my wrist; the GPS can take ages to work properly; and the interface can be obtuse. Still, the Band 2 aspires to so much (and does well enough at most of it) that people serious about health and tech should take a look before immediately writing it off.